Flying out of Costa Rica soon…? 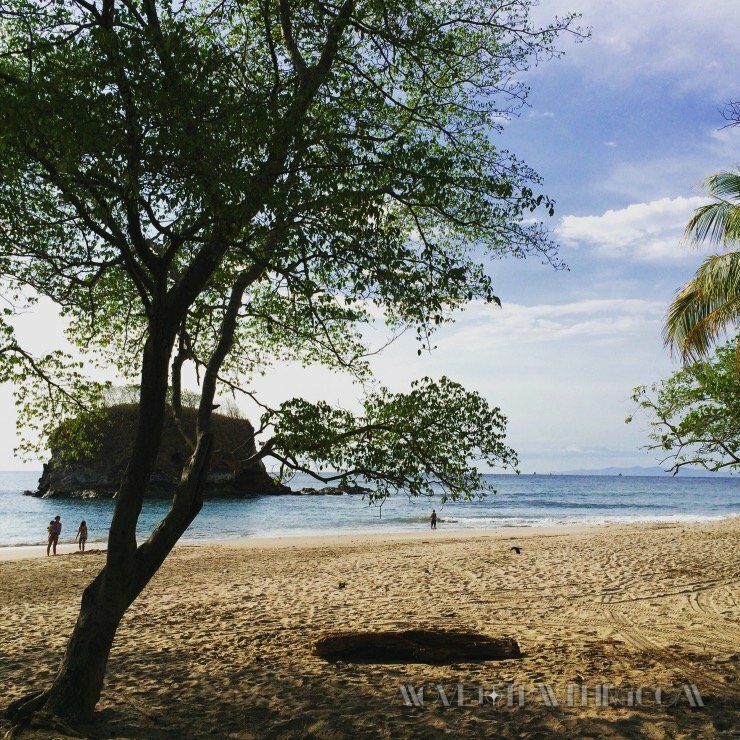 We’ve got a helpful tip for you if you’re planning to visit Costa Ricaanytime soon. When we first visited, back in May of 2015, it was a bit of a surprise for us. You know…one of those departure flights when you have to be at the airport at the insane hour of 4am! So, to make sure you don’t have to be so unexpectedly surprised as well, here’s what you need to know about this lovely thing (cue the sarcasm) called ‘departure tax‘. Have you been to Costa Rica? Maybe the better question to ask is, Have you been to any Latin country? My mother (this is Amalia speaking) is from the Dominican Republic. What does this have to do with CR travel? They’re both Latin countries and so I know this well, that traveling in them can be a bit chaotic, confusing, and pretty much a s#@! show. And that’s putting it nicely. When you fly out of Costa Rica, be prepared to pay their ‘Departure Tax‘. If you’re there early in the morning, keep in mind that one of the main ATM’s doesn’t start working till 5am and there will be horrendous lines for the ATM right next to the counter where you purchase the tax. Thus two lines you have to stand in and still try to make it to your gate on time. Oh yeah, and why all the talk about ATM’s…? You got it – they only take cash for the departure tax. This and I (Amalia again), personally ran to three different ATM’s before finding one that worked and didn’t have a crazy-long line. The Departure Tax for flying out of Costa Rica is $29 each person. That’s USD – cash only! – and yes, per person. We are now finding information out there that you can pay with a major credit card. But (and that’s a big BUT! ), they treat the charge as a ‘cash advance‘, so it charges your card / bank an extra $10 charge! Talk about lousy, huh. What we know from our experience, is that we were told by several airport staff that we could only pay in cash and that they didn’t accept credit cards at all. If you’re looking to do land border crossings during your visit to Costa Rica, keep in mind that they have their own ‘exit fee’ for leaving Costa Rica by land. Take it from us, you want to make sure to get there plenty early, because even at early hours of the morning there will be mobs of people and long lines. Once you get your departure tax purchased, they give you a slip that you turn in at the check-in counter right after that. There’s also word on the web that you can take care of all this before you even get to the airport, through Bancredito Branches or travel agencies. And don’t be deceived! Even if you have had coffee. The big sign hanging up behind the Departure Tax counter that lists a bunch of major airlines that are exempt…make sure to read the fine print. At the time we were there with this grand pre-coffee experience, it said only tickets bought from the listed major airlines (Delta, which was our’s, being one of them), were only exempt from having to purchase the departure tax if the ticket was purchased for travel between the dates of June 2015 through sometime in September 2015. There’s always a bright side to things though! There are rumblings that as of January 1, 2016, most major airlines will include the departure tax within the cost of the ticket, so it’s taken care of for you in a much better manner. Have you recently experienced flying out of Costa Rica? We’d love to hear about your experience with the departure tax. Are they still charging it as before? Travelers gotta keep each other updated, so let us know. To learn more about Costa Rica (and the many more enjoyable aspects of the exotic country), cruise around our site and gather some travel treasures. We had a great time there, departure tax and all! As of a month ago most airlines are including the departure tax in the fair. It is a little shocking when you arrive and drank all your spending money and then get hit with the departure tax. So true John! So true 🙂 Thanks for confirming that this latest effort from the airlines has actually taken place. I had referred to it towards the bottom of the post and it’s great to see that it’s actually going through. Keep us udpated! And keep enjoying the pura vida! How early does a person need to arrive at the airport for departure? Hi Tom. I would recommend to arrive 3 hours before your flight’s departure time, just to give plenty of time.